The story of Rachel's marriage to Jacob is related in the book of Genesis. Rachel was much loved by Jacob, but she was deeply grieved by her inability to have children, and consumed with her envy of her sister Leah's many children in her marriage to Jacob. 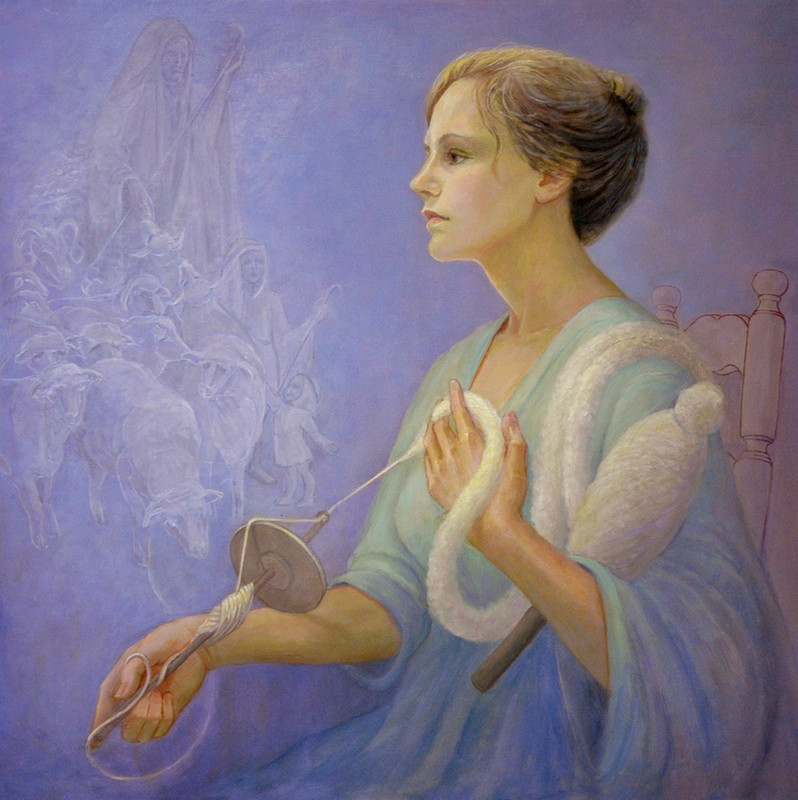 Lost in her sorrow as she dreams of having her own children, she pauses as she spins the wool from Jacob's sheep, linking her to her sister Leah.